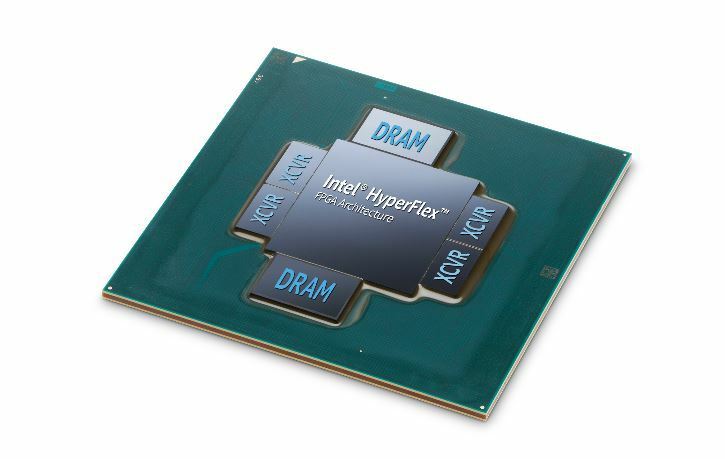 The Intel Stratix line is the company’s high-end FPGA line. Intel is now fully invested in the FPGA business after its blockbuster Altera acquisition that happened before this product cycle. 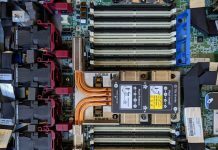 One of the key areas that FPGA have traditionally played in is communications infrastructure and the Intel Stratix 10 TX variant is specifically geared toward this market. The Intel Stratix 10 family utilizes EMIB to allow fusing heterogeneous “chiplets” into a single package. In the Stratix 10 TX case, this means fusing the traditional FPGA components such as logic elements and adaptive logic modules with high-speed 58G transceivers. The 58G transceivers can operate at previous generation standards (28G and lower) speeds allowing the company to deliver backward compatibility at a lower power footprint than previous generations. With the newer generation chips and the optical transceivers that will be released this quarter, Intel expects the Stratix 10 TX to play in a space for next-generation 5G infrastructure roll-outs where the entire infrastructure will need to focus on providing higher bandwidth and lower latencies. As one of four variants in the Intel Stratix 10 family, the TX line has is positioned specifically as having the higher-end transceivers options with its 58G transceivers. We asked Intel, and the focus on the TX variant is telecoms. 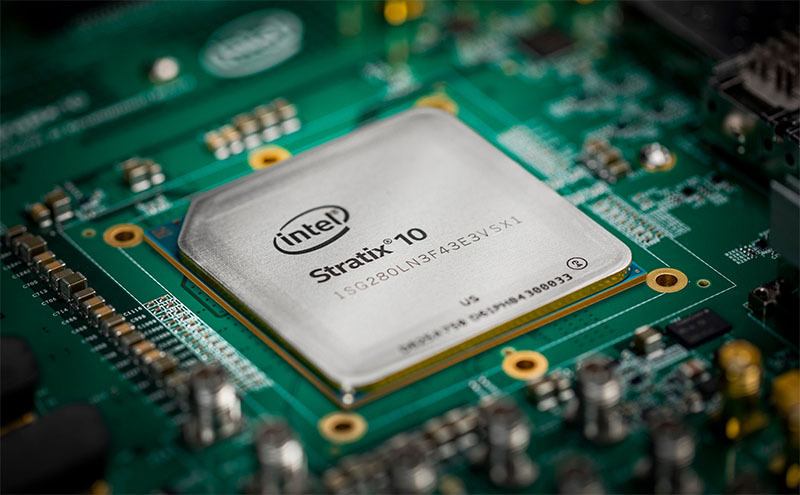 These are not intended for hyper-scale AI applications like other Stratix 10 variants as found in Microsoft Shows off Project BrainWave Persistent Inferencing from FPGA Cache. Here is a spec table for the Intel Stratix 10 TX family. You can see the full spec sheet here.